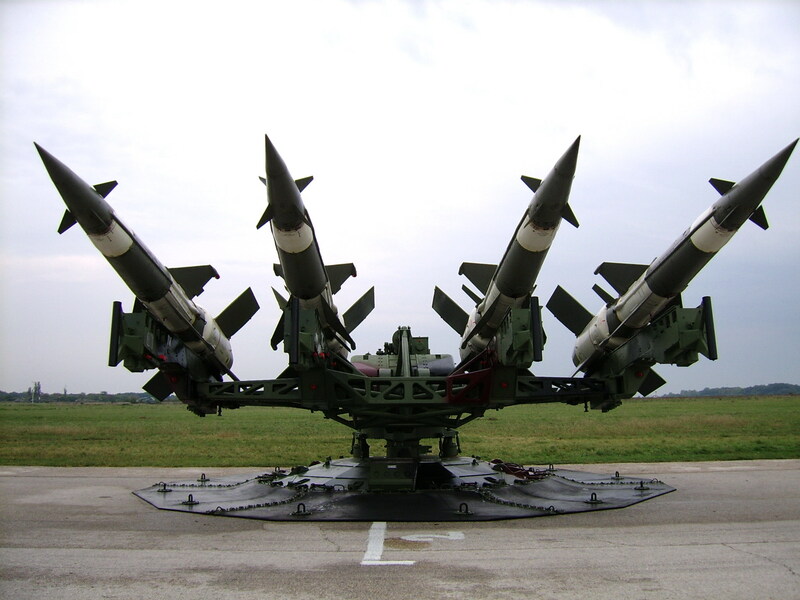 In this article we shall examine the S-125 Neva / SA-3 Goa Surface to Air Missile (SAM). The S-125 was first deployed between 1961 and 1964 around Moscow, augmenting the S-25 and S-75 sites already ringing the city, as well as in other parts of the USSR. The original system was designated SA-3A by the US DoD. The SA-3 was not used in Vietnam as the USSR feared that China would copy the missile much like they copied the SA-2. The soviets supplied SA-3s to several arab nations during the 1960s and 1970s. These had repercussions later on in history where an F16 was shot down by an SA-3 during operation desert storm. The F16 was struck by the SA-3 south of Baghdad, the pilot Major Jeffery Scott ejected safely but became a POW as the ejection took place over Iraq. The later version is named V-601 (or 5V27). It has a length of 6.09 m, a wingspan of 2.2 m and a body diameter of 0.375 m. This missile weighs 953 kg at launch, and has a 70 kg warhead containing 33 kg of HE and 4,500 fragments. The minimum range is 3.5 km, and the maximum is 35 km (with the Pechora 2A). The intercept altitudes are between 100 m and 18 km. The missiles are guided using radio control signals from the “low blow” Tracking radar and the “Flat Face” target acquisition radar used both by the SA – 3 and SA – 6. The SA – 3 is a shorter range missile with more maneuvering capability than the SA – 2 thusly more caution should be exercised when flying through a known area covered by an SA – 3 battery. However in practice the art of dodging an SA – 3 is much the same as dodging an SA – 2. Upon the successful launch of an SA – 3 at your aircraft locate the missile by looking for a similar smoke plume left by the first and seconds stage of the missile launch. Then place the missile on your 3 – 9 line and deploy counter measures at intervals of your own discretion. When the missile is about halfway to your aircraft perform a break turn into the missile to overload its tracking and cause the missile to overshoot. Alternatively you can take advantage of the SA – 3’s relatively short range. If the missile launchers at you from RMax or near RMax a break turn away from the missile followed by a pendulum like flight pattern is advised to exit the missiles threat circle and defeat the missile kinetically. Again the process for defeating the SA-3 non visually is the same as visually but instead of using your Mk – 1 eyeball you use the information the aircraft provide you. Like the RWR. If the SA-3 is illuminated on your RWR perform a break turn into the missiles predicted path and deploy counter measures and immediately seek to exit the missile threat ring. Again if the SA-3 launches from long range a drag turn away from the missile is advised. 4 – 6X SA-3 launchers with 4 missiles each. To destroy the site eliminate the launchers and both radars. Recommended ordinance is HARMS or ARMs’ for the RADARs and cluster munitions for the launchers and other soft targets that may present themselves i.e. AAA and ManPads. 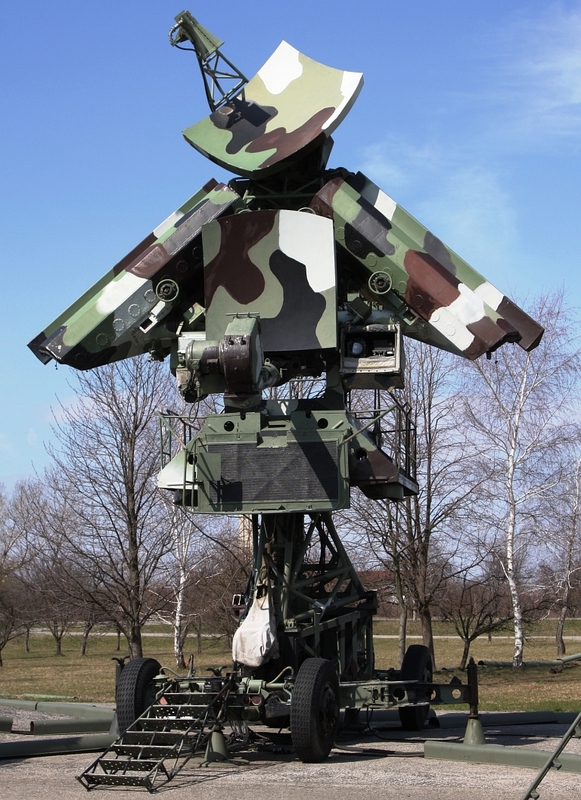 Due to the relatively short range of the SA-3 / S-125 the system is used to provide medium range air defence for longer range SAMs like the SA-2 or the SA-5. Because of this “double threat” combination destroying individual SAM sites is difficult and often impractical, because of the combined cover provided by SAMs in the area. For example an SA-5 might be ringed by a battery of SA-2s and several SA-3 sites. Because of this several packages must be used to destroy the original target the SA-5 as the SA-2 and SA-3 batteries must be destroyed first. In BMS SA-3 sites are used in much the same way. They often accompany other SAM positions and make ingress to the target exceptionally dangerous.